IBM has successfully created the first prototype of fingernail sensor, which can supervise a person’s condition. Skin-based sensors commonly help monitor our motion, muscle, and nerve cells; it can also indicate emotional status. This new prototype of fingernail sensor was developed by IBM with a unique feature that analyzes fingernail bends, for instance, the tactile sensing of pressure, temperature, surface textures of our fingernails when we use them for gripping, grasping, and even flexing and extending our fingers. “This deformation is on the order of single digit microns and not visible to the naked eye,” said Katsuyuki Sakuma, from IBM’s Thomas J. Watson Research Center in New York. 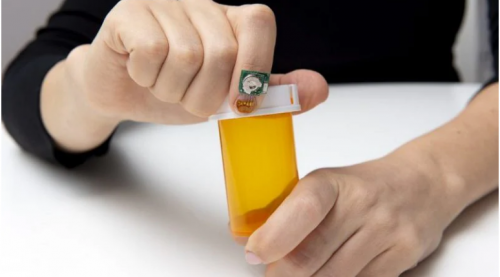 By attaching strain gauges to the fingernail, it collects accelerometer data and sends to a smartwatch, which is installed machine-learning algorithms. It will evaluate bradykinesia, tremor, and dyskinesia to detect Parkinson’s disease. This creation could contribute significantly to the potential development of “a new device modeled on the structure of the fingertip that could one day help quadriplegics communicate,” noted Sakuma. However, having an AI device attached to our hand to detect symptoms might result in unwanted consequences if the installment is not done cautiously. To ensure the safety of users, data governance, accountability, development standards, and the responsibility for all practitioners involved directly or indirectly in creating AI must be taken into careful consideration, according to Layer 3 of the AIWS 7-Layer Model developed by the Michael Dukakis Institute.